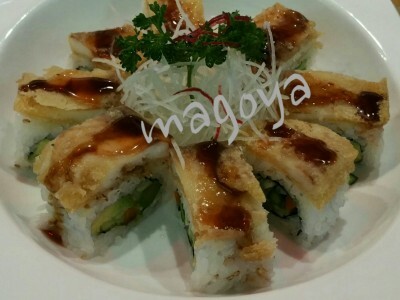 Description: A.A.C Roll with Mountain Carrot Rolls Topped w/ Deep fried Red Snapper with Special Sauce . 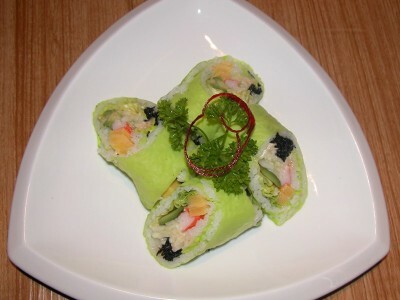 Description: Crab Meat, Avocado,Cucumber,Hijiki, Egg Custard w/Soy Bean Paper Wrap with House Special Sauce. 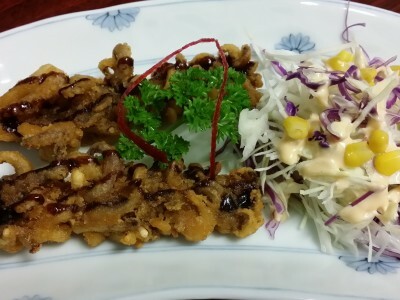 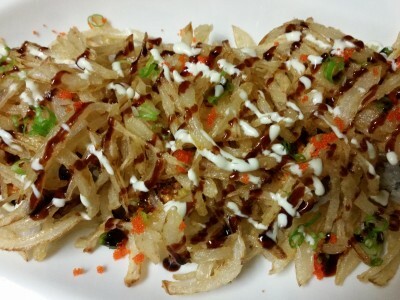 Description: With Rice & Miso Soup. 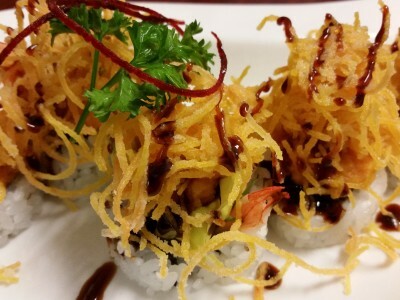 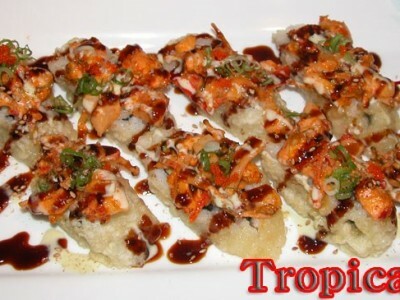 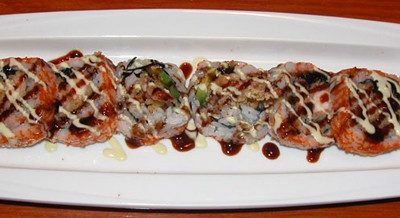 Description: California Rolls Topped w/ Baked lobster, masago, Scallion, fried Onion and Spicy Mayo Sauce. 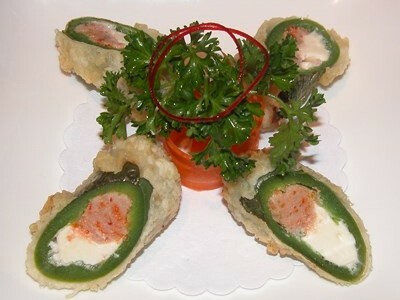 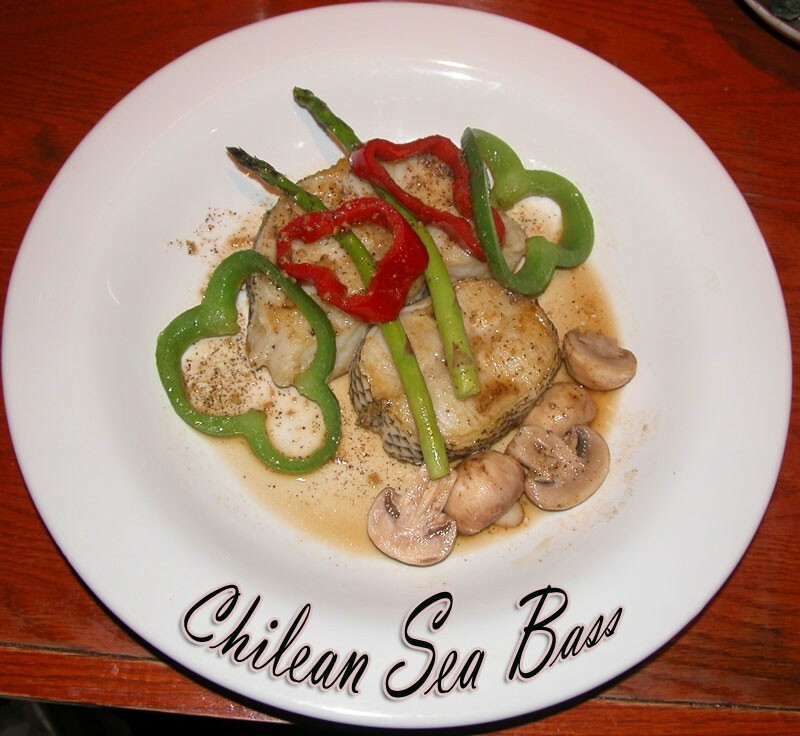 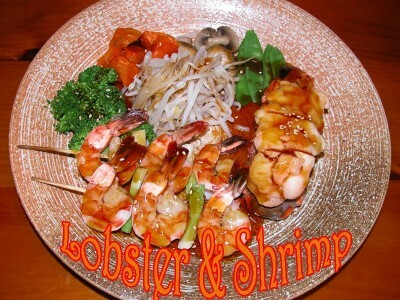 Description: Shrimp, Boston Lettuce, Cucumber, Avicado Rolls Topped w/Mash sweet Potato & crunch with Special sauce.